Nearly ten years ago, I was talking to Caterina Fake about an idea I had: a way for independent artists and creators to fund their work directly from their fans with an ongoing subscription model. She told me about someone she’d recently met who was working on an idea with similar goals, and made an introduction to Perry Chen, the creator and founding CEO of Kickstarter. I was in love with the subscription model as a way of building a stable income for indies, who largely spend their creative lives in a state of constant financial instability. But Perry’s vision for an all-or-nothing funding platform was so well-developed, with such a profound potential to reshape how creative projects are made, that I happily set aside my nascent ideas and hopped on board the Kickstarter rocket. I was lucky to help build Kickstarter in its formative early days as its first CTO, and an advisor since before launch, and it completely reshaped the course of my personal and professional life. I’ve made countless friends through Kickstarter and the projects I’ve funded there. 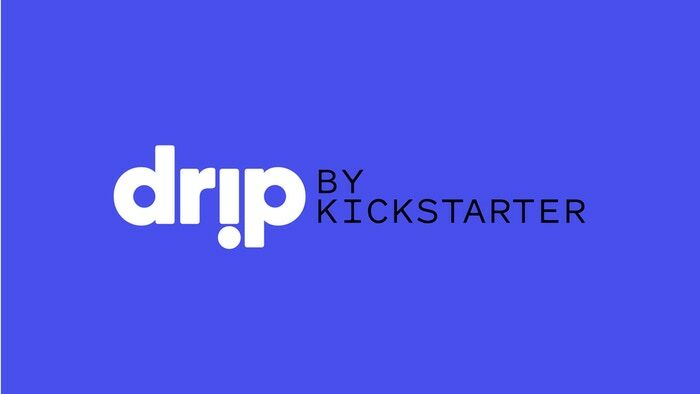 Last November, Kickstarter announced Drip, a new tool for creators to fund their work through recurring payments. Currently invite-only, Drip will soon be opening the doors to the public — some of my favorite creators are already on board: Mike Rugnetta, Spike Trotman, Reggie Watts, Feminist Frequency, and many more. Kickstarter refuses to act like any other startup. They take a very long view of the future, explicitly saying they plan to stay independent forever, vowing never to sell or IPO. Kickstarter raised a relatively small amount of funding in their first year, and then never went back to the VC well, unlike so many others. In 2015, Kickstarter became a Public Benefit Corporation, with the mandate to pursue public good and positive social change in their charter, rather than solely maximizing shareholder value. With the subscription model, the tradeoff with financial stability is vendor lock-in. You’re stuck with whatever platform you started with, and the decision to switch platforms inevitably means losing a huge chunk of your subscription base. So if the platform you launched on decides to sell, IPO, or start pivoting in various horrible ways to maximize shareholder value, you’re out of luck. Instead, Drip is focused on creator independence, working towards true portability — the ability to securely transfer your content, subscriber, and payment information to other subscription platforms if you decide to leave. And it’s integrated with Kickstarter, allowing the 13.7 million people who’ve backed a Kickstarter project to use their existing account and stored payment information to easily support Drip creators. But the most exciting and interesting uses of Drip are yet to come, and I want to be there to help shape what it becomes. Today, I’m happy to announce that I’m back at Kickstarter for a limited time under their jauntily-named Fellows program. The Kickstarter Fellows idea is still taking shape, but it’s kinda like a visiting scholars program at a university — we identify really talented people whose work we admire and invite them in to collaborate with our team for a focused period of time. Like with Kickstarter, I couldn’t pass up the opportunity to help get Drip off the ground in its formative early days. And purely for selfish reasons, I’m thrilled about Drip because I want to help all the creators I love make more weird, wonderful things, while funding my own niche ongoing projects. You can sign up to be notified when Drip opens wide on the homepage. Or drop me a line if we know each other and you think you’d be a good fit, and I’ll see what I can do. Oh, did I mention Kickstarter’s hiring for engineering, design, and product positions? They are. You should seriously consider applying.